Tieback wall systems derive their support from the soil at the excavation base and tiebacks near the top of the wall. 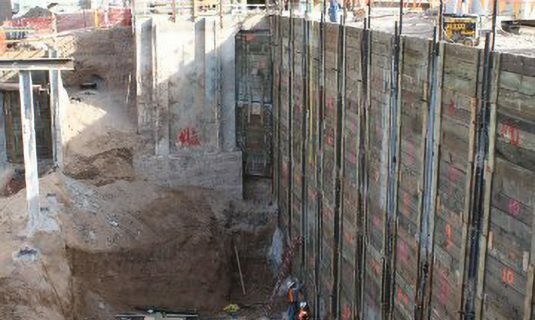 This type of shoring system has been successfully used for walls up to 35' in height. High strength rods are typically installed into a drilled hole then grouted. The capacity of the tieback is based on the friction between the gout and the surrounding soil. Soilnail walls derive their support entirely from the ground anchor friction between the grout and surrounding soil. A shotcrete wall facing supports the face of the excavation as opposed to timber or steel plate lagging that most tieback walls require. 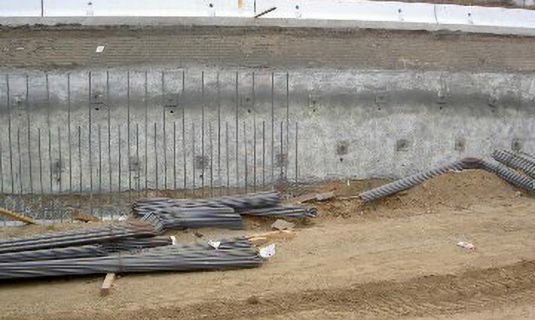 Soil nail walls eliminate the need for soldier pile or sheet pile vertical elements.